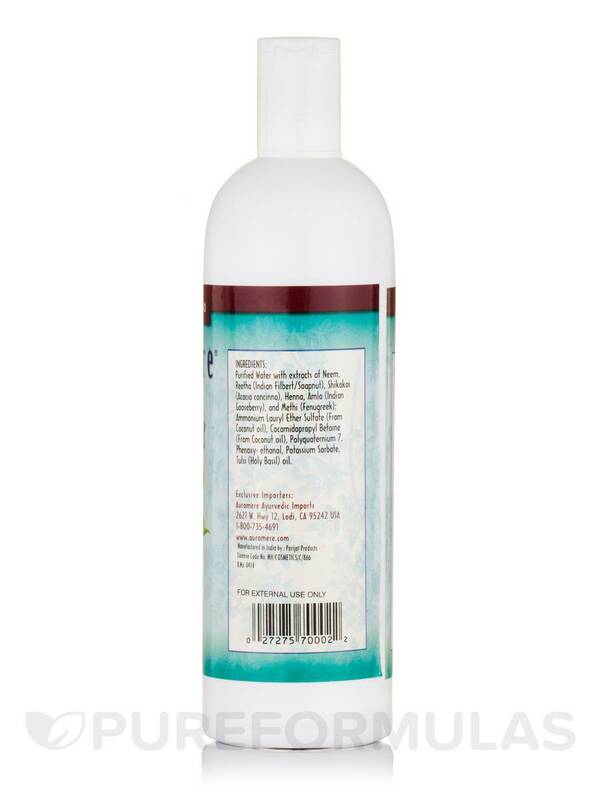 Ayurvedic Neem Plus 5 Shampoo by Auromere makes my hair feel cleaner with safe ingredients. 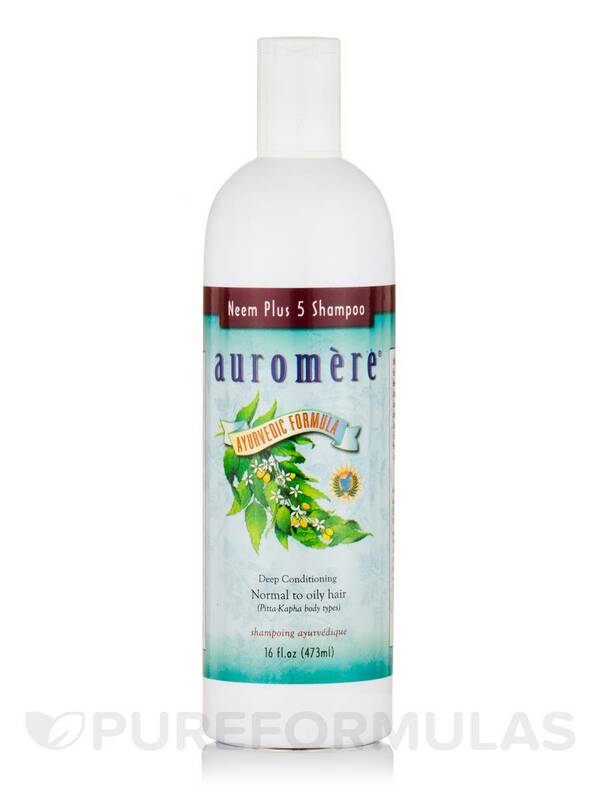 I have been using Ayurvedic Neem Plus 5 Shampoo by Auromere for years! My Brother likes it too. Ayurvedic Neem Plus 5 Shampoo by Auromere is good because it leaves my hair clean and does not strip out all the natural oils from it. Recommended for normal‚ oily or thinning hair! This unique Ayurvedic formula includes neem‚ the premier herb for skin and scalp‚ plus 5 other potent herbal extract: Reetha‚ shikakai‚ henna‚ amla and methi‚ all prized for their natural cleansing‚ nourishing and rejuvenating effect on the hair and scalp. Purified water with extracts of Neem‚ Reetha (Indian Filbert/ Soapnut)‚ Shikakai (Acacia concinna)‚ Henna‚ Amla (Indian Gooseberry)‚ and Methi (Fenugreek); Ammonium Lauryl Ether Sulphate (from Coconut oil)‚ Cocamidopropyl Betaine (from Coconut oil)‚ Polyquaternium 7‚ Phenoxyethanol‚ Potassium Sorbate‚ Tulsi (Holy Basil) oil. This is great shampoo for my oily hair. As long as I use enough there is no gunkiness in the back. Other natural shampoos I've tried have never worked out. I'm happy I found this. There was all good reviews. 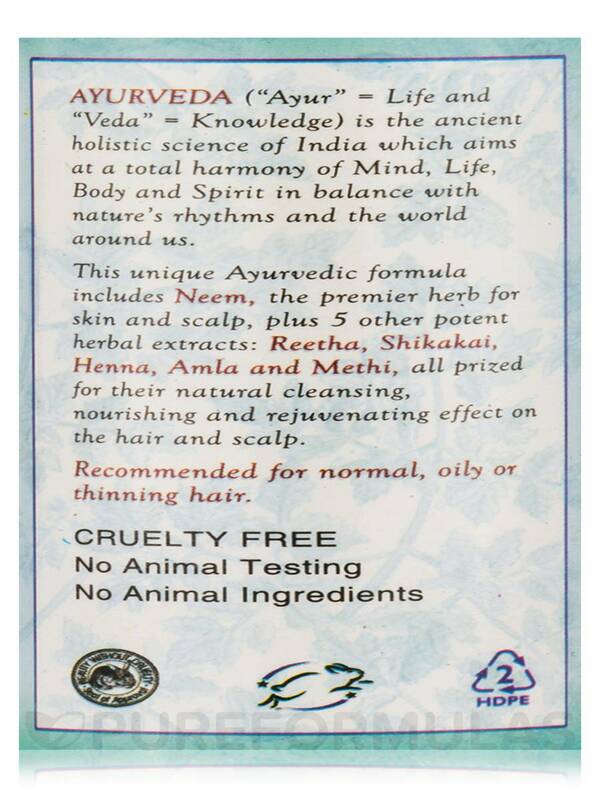 wanted to try Ayurvedic Neem Plus 5 Shampoo by Auromere, since has essential oils and neem. Tried it for the first time and liked it. Good price, a good natural shampoo with no bad chemicals. good size bottle. My son has fine, oily hair. Ayurvedic Neem Plus 5 Shampoo by Auromere cuts through the oil, and leaves it shiny and healthy looking. Conditioning oil hair is near impossible without adding more oil. This shampoo is the perfect balance of cleaning and conditioning without being weighing down the hair. 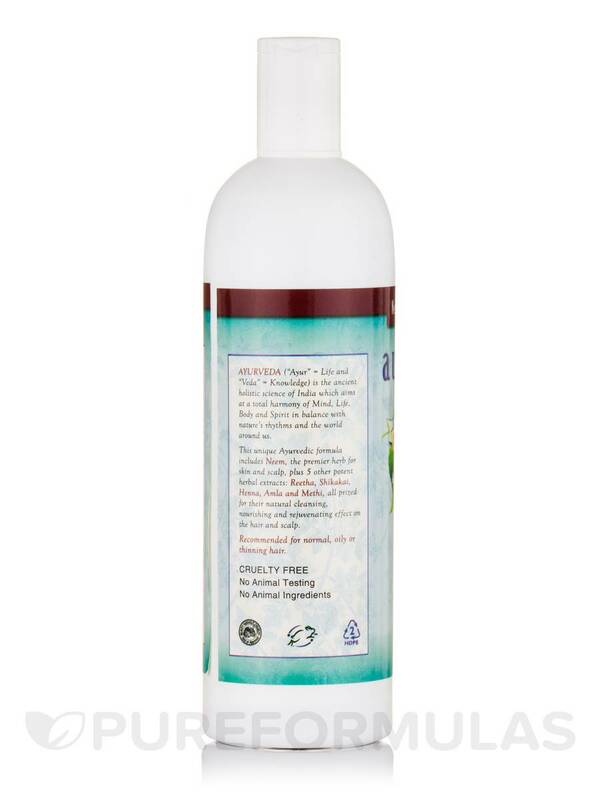 Ayurvedic Neem Plus 5 Shampoo by Auromere cleans good works perfectly will buy again. My husband uses Ayurvedic Neem Plus 5 Shampoo every day. He likes how clean his hair feels and the bottle lasts forever. i use it as a body soap occasionally. We are very pleased with all of these products. I love Ayurvedic Neem Plus 5 Shampoo by Auromere not only for its soft composition but also for the way it makes my hair stronger and shiny. I love the smell too! 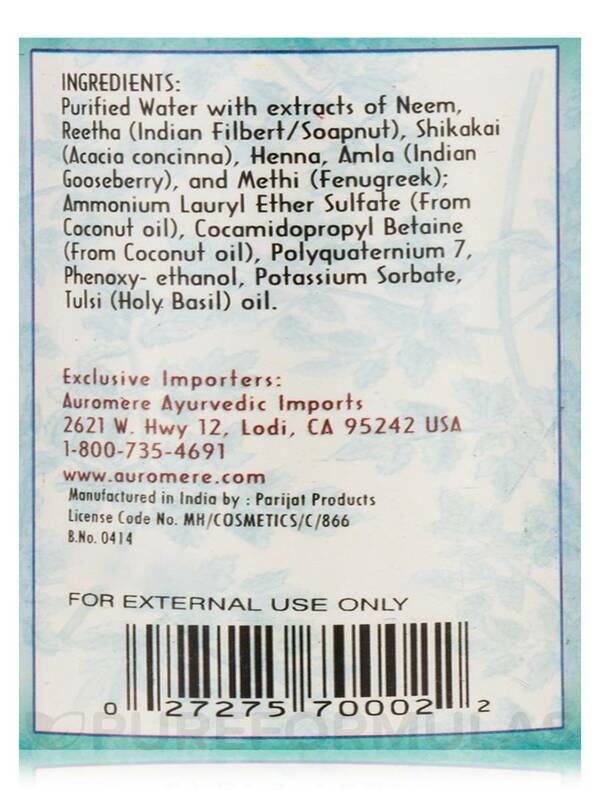 This is the second time I ordered Ayurvedic Neem Plus 5 Shampoo by Auromere. I love the way my hair feels and it is reasonably priced.